A weekend packed with all things Dressage! Midwest Dressage Association is very pleased to offer this fun and educational weekend in conjunction with professional trainers, instructors and business owners who are donating their time and knowledge to help you reach your goals! • Am I insured? Do I need it? 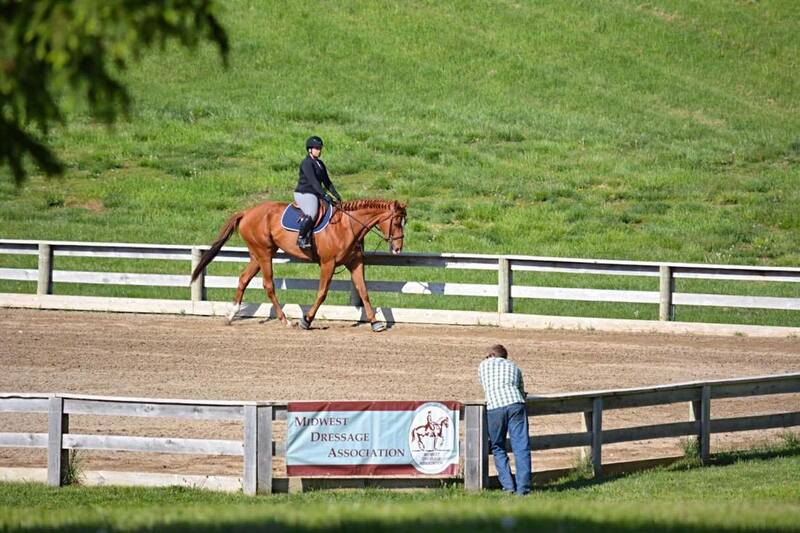 This clinic is open to Adult Amateurs, Junior/Young Riders and Professionals, but you must be an MDA member! Non-members may join MDA to participate in our Boot Camp event. Arrive Friday evening to settle in and get your schedule. Saturday and Sunday participants will be working in groups of two or four in mounted and unmounted sessions. Cost includes all sessions, lunch both days and stabling. Pre-registration is required. Forms may be found on the MDA website. Closing date is April 1, 2017. Cost is $100 per person for this two day event. *Limited RV hook ups are available for $30.00 per night.